Roberts Wesleyan College Open Air Class. Roberts Wesleyan College. 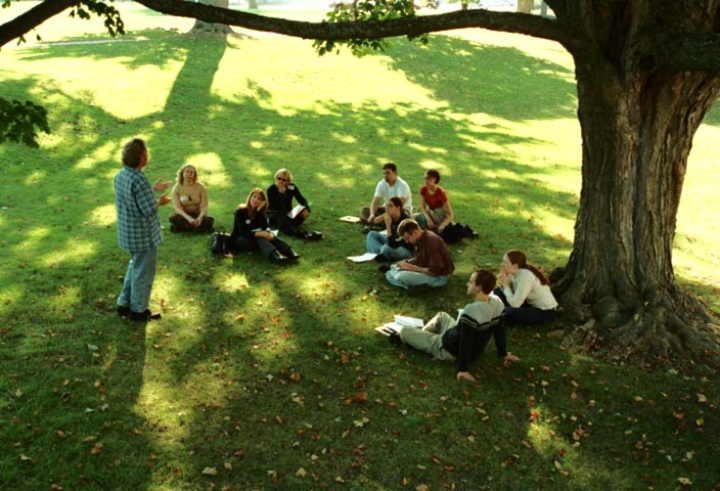 A class moves outdoors to the shade of a tree on a beautiful September day.